Running more than 1,200 miles from headwaters in eastern New Mexico through the middle of Texas to the Gulf of Mexico, the Brazos River has frustrated developers for nearly two centuries. This environmental history of the Brazos traces the techniques that engineers and politicians have repeatedly used to try to manage its flow. The vast majority of projects proposed or constructed in this watershed were failures, undone by the geology of the river as much as the cost of improvement. When developers erected locks, the river changed course. When they built large-scale dams, floodwaters overflowed the concrete rims. When they constructed levees, the soils collapsed. Yet lawmakers and laypeople, boosters and engineers continued to work toward improving the river and harnessing it for various uses. 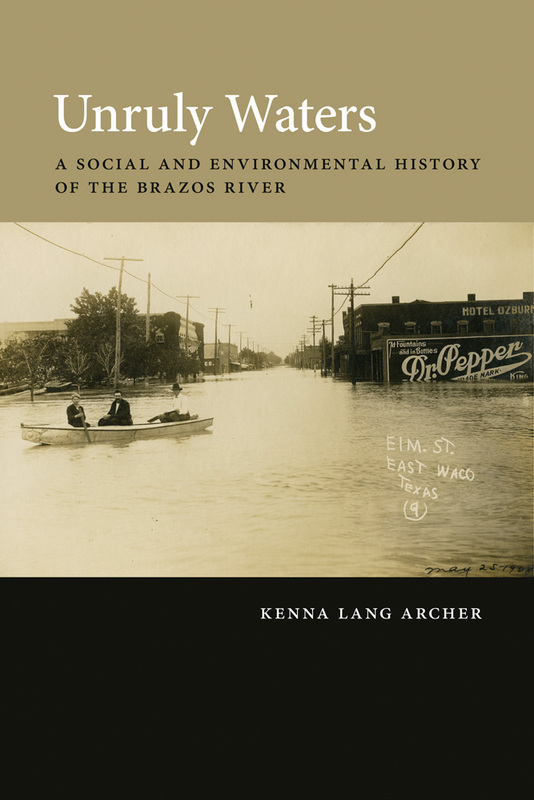 Through the plight of the Brazos River Archer illuminates the broader commentary on the efforts to tame this nation’s rivers as well as its historical perspectives on development and technology. The struggle to overcome nature, Archer notes, reflects a quintessentially American faith in technology. Kenna Lang Archer is an instructor in the Department of History at Angelo State University.